Thank you P.F. Chang’s for sponsoring our tasty date night! When was the last time you had a date night ? Gosh our last kid-less date night was in ... umm ... January for our Birthday ! It was about dang time that I swiped my husband away from work and we dropped off the kids a carefree dinner date at P.F. Chang's. I am really glad we went to P.F. Chang's. Not only was it a calm setting for a peaceful night out, they also had a pretty awesome NEW Summer menu as well. Check out the full Summer Seasonal Menu. There are some seriously yummy looking dishes !! I decided to start the night off with this fun and spunky Pink Cherry Cosmo from the Summer cocktail menu. This drink had Absolut Citron Vodka and Cointreau Liqueur with fresh lime juice and cranberry juice garnished with a Pink Blush cherry. The perfect amount of tart and sweet in a drink. Hubby got an Arnold Palmer. My drink is way prettier than his ! P.S. I saved up some up my calories throughout the day so that I could still make sensible meal choices out but not be super obsessed over it. Check out my Nutrisystem Journey to see what I'm talking about. 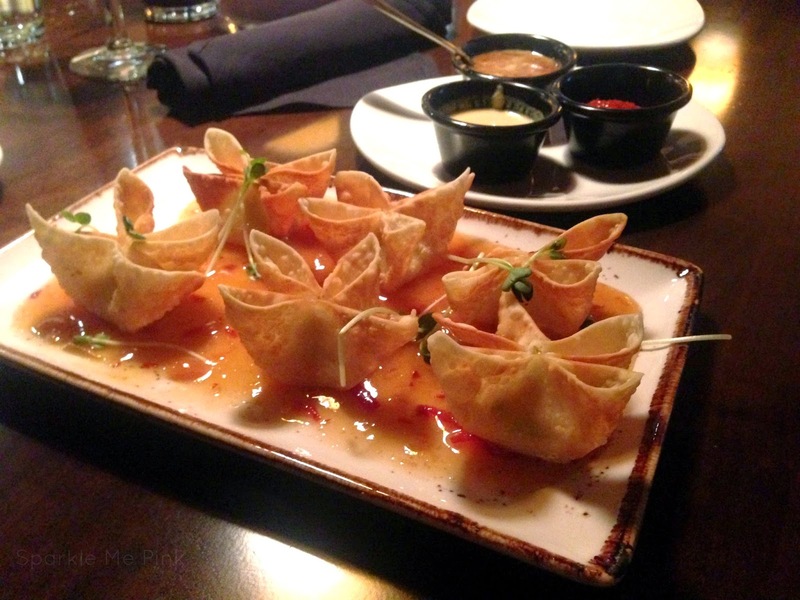 For an appetizer we decided on the Hand-Folded Crab Wontons : Crispy wontons filled with crab, bell peppers and green onions, with spicy plum sauce. This is part of the permanent menu but I couldn't resist them. these also came out with three different dipping sauces. One mustard, one soy sauce and one very kickin' spicy cocktail sauce. So yea hubby only left me two of these, he loved them ! For dinner I choose ( from the Summer Selections) the Cantonese-Style Lemon Chicken : Fresh, crispy whole chicken breast sliced and drizzled with warm lemon sauce and served with chilled broccolini salad. This dish was very calm yet zesty and juicy. I usually go for a bit more vibrant dish so I just took a few drops of hubby's sauce from his dish and sprinkled it on mine = perfection ! The brown rice along with the lightly breaded chicken filled me up quite quickly. I had plenty leftover for a doggie bag. Since we were pretty full from our dinners we wanted a lighter dessert. 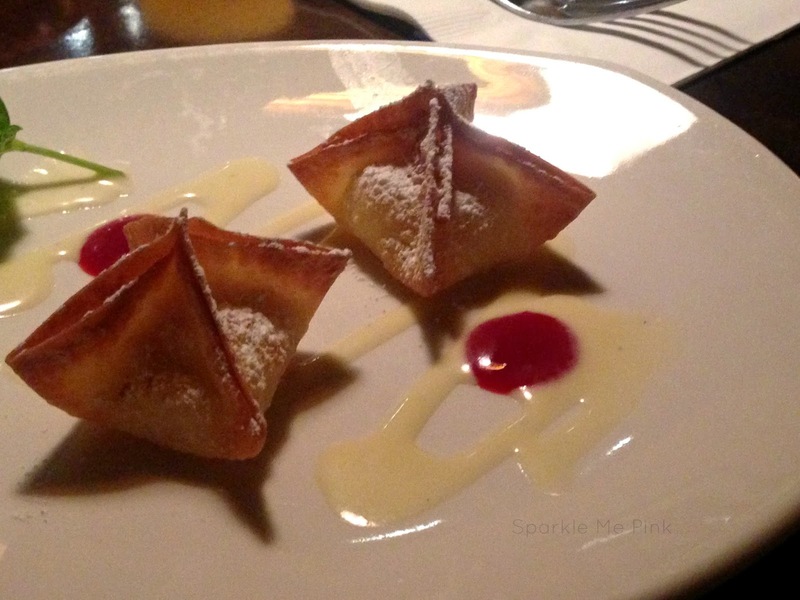 We picked these two adorable little Sweet Vanilla Cream Wontons : Handmade, warm and crispy wontons filled with vanilla cream cheese, dusted with powdered sugar, served with vanilla and raspberry sauces and fresh mint. It was amazing to get to sit down with my husband and have an uninterrupted adult conversation ! Don't get me wrong I love my kids and being a mom but sometimes it is just nice to get away from the chaos to have a warm meal. P.F. 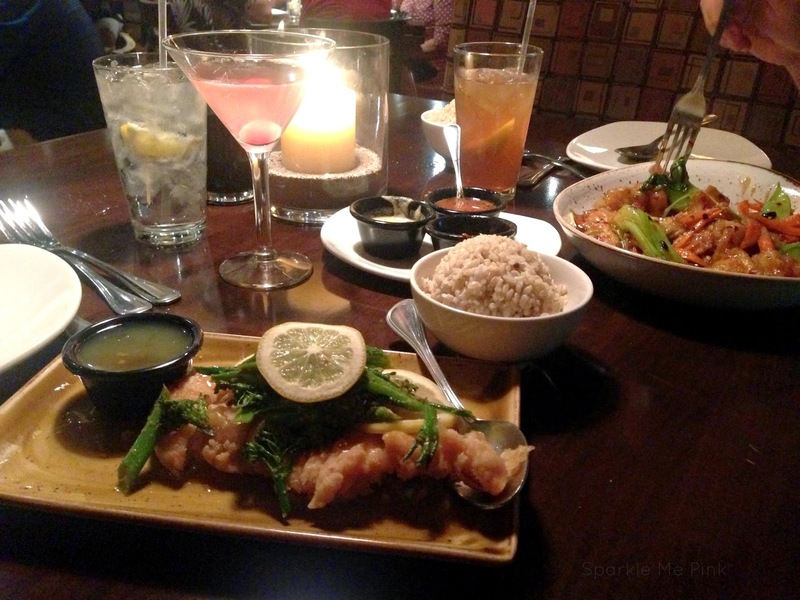 Chang's was the perfect place for us to do just that. 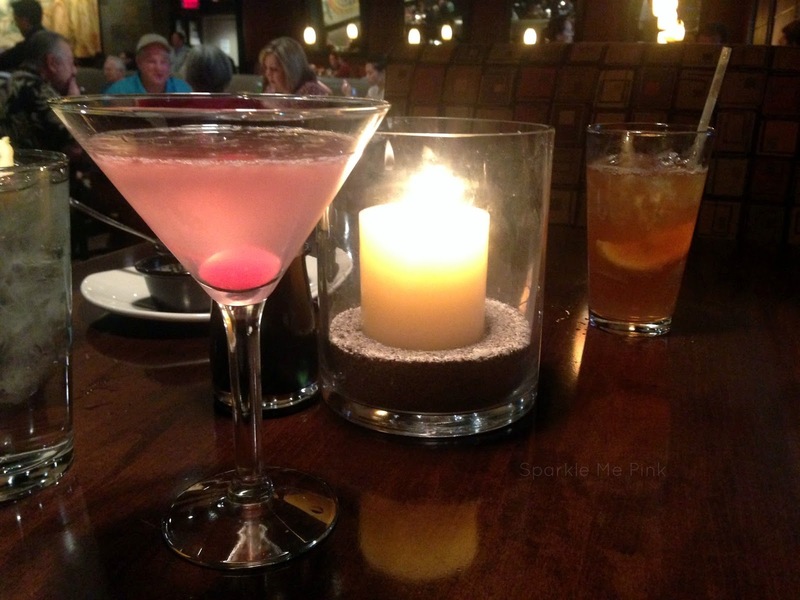 Are you over due for a kid-less date night ? What is your fav P.F. Chang's dish ? The contest will run from July 11 – August 18. A winner will be chosen by August 29. Each participant will have the opportunity to win a $100 gift card and become eligible for the grand prize of a trip to Boston for an exclusive Sam Adams Brewery Tour for two, followed by a 4-course pairing dinner at the P.F. Chang’s downtown Boston. 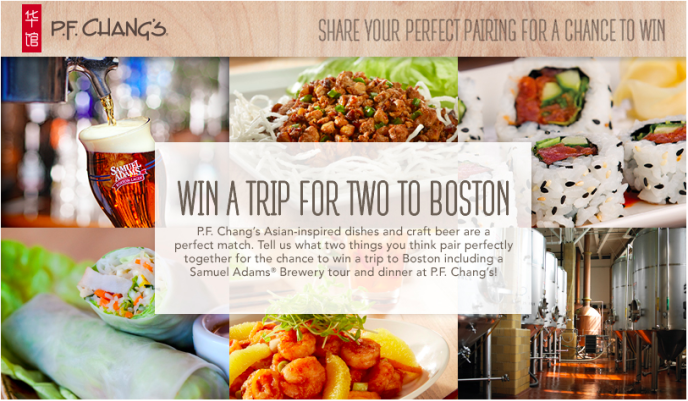 To enter the contest visit www.pfchangs.com/perfectpairings and tell us what two things you think pair perfectly together for the chance to win a trip for two to Boston to tour the Samuel Adams Brewery and dinner at P.F. Chang’s! i love pf changs and the food they have. they have a lot of fusion dishes i like as well. i do like their pairings and would love to win a trip to boston at the same time. 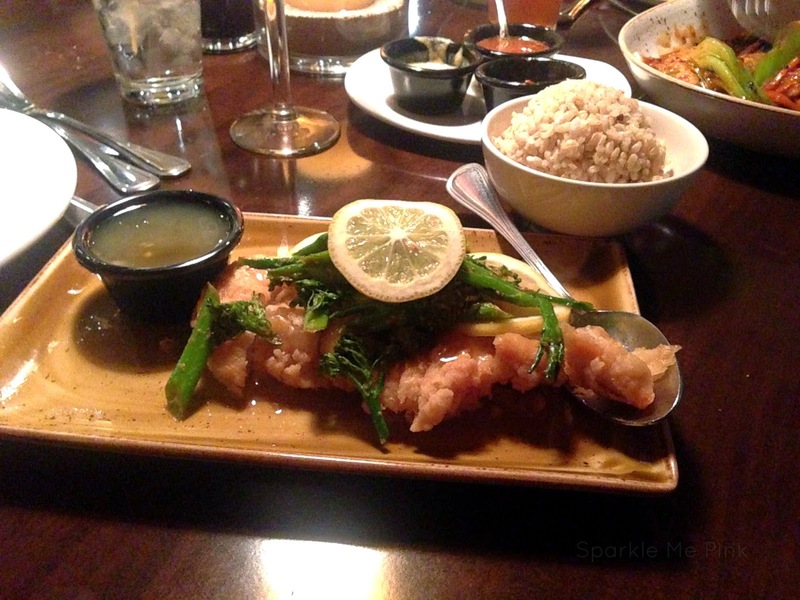 I haven't been to PF Chang's in forever but reading your post and looking at those yummy pictures, I can't stop of thinking of their food. I love P.F. Changs meals, but I have not been there this summer. My favorite dish is the CANTONESE-STYLE LEMON CHICKEN! So yummy. I like what you picked for dinner and your dessert looked delicious. I need to go their soon! !